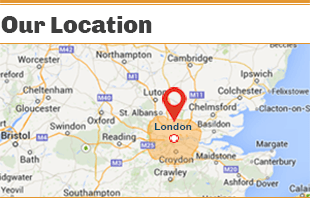 MoveOut Clean London is a professional cleaning services provider in London. The company’s speciality is move out cleaning. Benefit from our tempting prices and book the service quick and easy, right away! If your tenancy contract is near its expiration date, then you better start looking for a reliable and affordable move out cleaning service. If you want your home to be cleaned according the highest standards, then we advise you to take a look at our offer – a flexible and efficient move out cleaning service that can be tailored to suit your budget and requirements. Get top quality move out cleaning services with exclusive 10% discount! We are one of the most experienced cleaning agencies in London, so you can rest assured that our move out cleaning service will meet the requirements of the most demanding landlords and letting agents. Choosing professionals for this job is the better option when moving out, because other thing can be on your mind and time might pressure you, so you may not be able to deal with the cleaning procedures on your own. Our move out cleaning service is one of the easiest ways to guarantee that you’ll get your security deposit back from your landlord. The reason for this is that our workers will clean your place from top to bottom and double-check every part of your property in order to make sure that they haven’t missed a single spot. The result will be not only impressive, but long-lasting, too! Our move out cleaning service is the most complete in London. When we say that we’ll clean everything, we mean absolutely everything! Our workers will start by cleaning every part of your kitchen, including appliances. They’ll continue their job by de-scaling, de-liming and cleaning every surface in the bathroom. Our workers will also clean all storage cabinets on the inside and out, and will get rid of all the trash in your home. Keep in mind that our move out cleaning service doesn’t include deep carpet cleaning, so you’ll have to pay extra if you want to take advantage of this service as well. When can I book the end of tenancy cleaning? We offer the end of tenancy cleaning and all of our other professional services seven days a week. You can book the service on the weekends, too, if you find it more convenient! We work on national and bank holidays, too! What is included in the price of the end of tenancy cleaning service? Our prices are fixed, according to the size of the property. We include a thorough cleaning of the whole place with our own tools and cleaning products. There will be no extra fees on the equipment we bring! There, also, will not be any over charges if we have to stay more hours to clean the entire property! How many workers should I expect? The number of the professional workers depends on the size of the property, the number of the rooms and the dirt accumulated in there. The number varies from one to four. We can assure you that all of our professional cleaners are experienced in the area and are very attentive in their work! Before they leave, they will pay attention to the hallways, entries, staircases and the corresponding walls and ceilings. Basically every inch of your rented home will be carefully and deeply cleaned. One of the best things about our offer is that it is fully guaranteed – if you are not satisfied with the results or if your landlord’s demands aren’t met, we’ll send a cleaning team to clean your place free of charge. Our prices are the most reasonable in London, so even tenants with a tight budget can benefit from our move out cleaning service. Contact our support staff for more information and for the booking of the service. Finally, prepare to have delivered the highest quality of the move out service in London!